368 pages | 375 Color Illus. Tom Wolsky is a founding director of the Digital Media Academy, where he taught Final Cut Pro for many years. 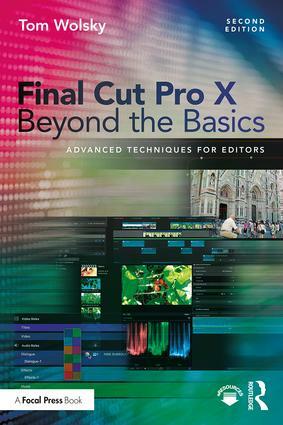 Tom is the author of several Final Cut and video production instructional books as well as DVDs for FCP, Final Cut Studio, and Mac OS X for Class on Demand, where his training has won multiple Telly and Horizon Interactive awards. Before teaching, he worked in the film and television industry for more than 40 years.